Quattro Stelle sausages are all handmade using only the freshest and most superior ingredients available. Ingredients like chilli, parsley, red wine and sage, just to name a few, are home grown by Antonio’s father, Vincenzo. Our award winning sausages are free of preservatives, glutens, fillers, additives and colours. Quattro Stelle has established a method of keeping fat content down to 10%. 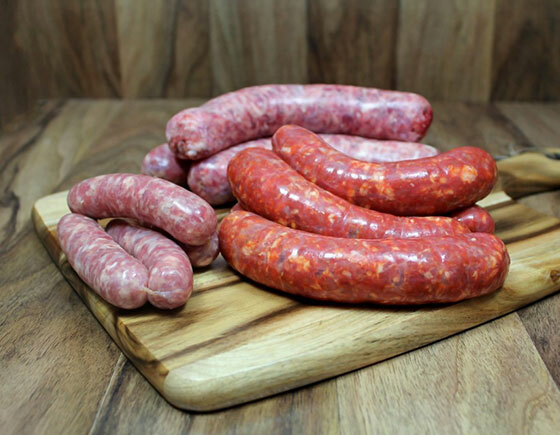 The sausages are made using meats hand selected by Antonio, which include pork, veal, beef, lamb, chicken and game meats like kangaroo, venison and crocodile. 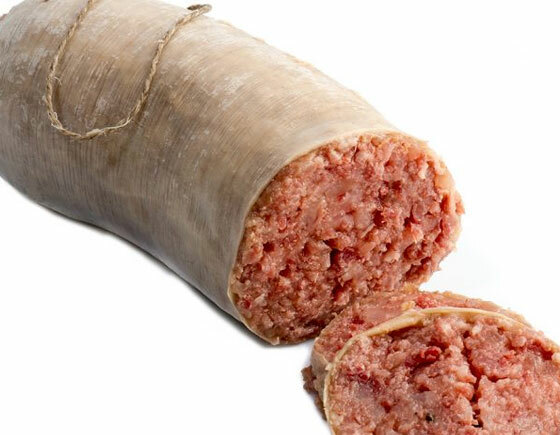 Using age old procedures, our sausages have no glutens, preservatives, fillers, colours or additives . The fat content is only around 10%, but the taste is amazing. This is due to the quality of pork which is hand selected by Antonio and the use of prime cuts like fillet, neck and loin. Cotechino is a large pork sausage requiring cooking; usually it is boiled at low heat for about several hours. Its name comes from cotica (rind), but it may take different names in the different production areas. According to tradition, it is served with lentils on New Year’s Eve, because lentils due to their shape are ‘credited’ to bring money for the coming year.